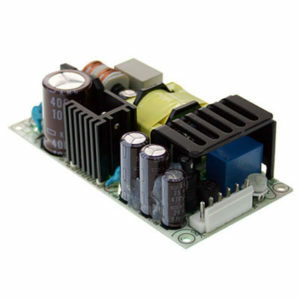 In the previous posting, I went over requirements for a DIY power supply build. Now on to the fun part–shopping! I wanted something fairly compact, but still nice looking. I ended up going with Jameco ABS Heavy-Duty Instrument Case. It’s a good quality build. In metric, it’s 200mm across, and 64mm tall, which is just about right. I wasn’t looking forward to hand drilling, and worse, cutting rectangular holes in those end-plates though. We’ll come back to that. 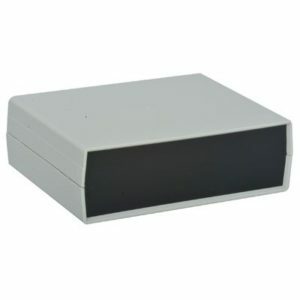 This case has a really unusual pattern of mounting holes in the bottom surface. I’m sure there’s ready-made circuit boards that would fit that spacing, but I wasn’t planning on wiring this whole thing up at the component level. So we’ll have to stick a pin in this part too, and revisit later. I originally sought to get a single board that took 120volts AC in, and came with dual, indepenent outputs. Without reading too closely, I picked up from Jameco a Mean Well “dual” output board. 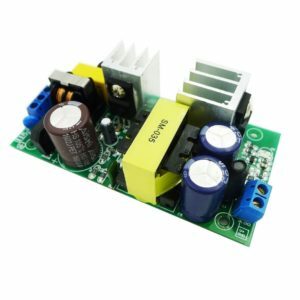 It looks like it was designed to provide both a DC output, as well as a battery charger output. After it arrived, a bit of inspection showed that the two outputs were not independent at all. Trying to (for example) connect them in series would create a short. So for my purposes, I had a high-quality single-ended supply only. It would have been natural to pick up a second identical Mean Well board. But thinking about the requirements, I saw an opportunity to try out something else. The maximum current on the Mean Well was around 3 amps. Perhaps I could do better, at least on one channel? Who knows when I’ll be trying some crazy electroplating experiment and need it. 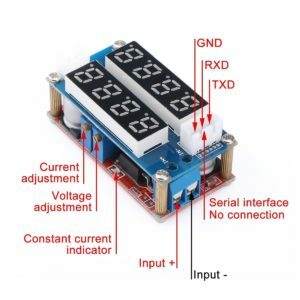 So after more shopping, I settled on the GEREE AC to DC Converter 85 ~ 265v AC to DC 12V 8A Adapter/Industrial Module Switching Power Supply by way of Amazon. This baby can put out up to 8 amps. The top board is a voltage and current display. I started out with grand ideas of replacing the LED displays with larger seven-segment modules, but that quickly got complicated. At least I got a chance to learn how to lay out circuit boards in KiCAD. OK, spoiler alert. 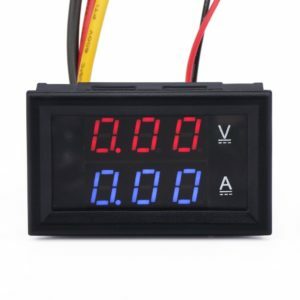 I ended up using separate voltmeter/ammeter modules, like these:DROK Digital Current Tester Multimeter DC 100V Volt 2A Ampere Battery Monitor Gauge 2in1 Red/Blue 2-color LED Display Car Automotive 12V 24V Built-in Shunt. So much for the larger LED display. These are only 0.28 inches, but it’ll have to do. And I like that the LEDs are different colors for voltage vs. current. So there’s the major pieces. But there remains the significant job of hooking everything together professionally, safely, and upgradibly (if that’s a word). How things connect together is make-or-break on projects like this. Let’s spend some time going over connectors in the next installment. This entry was posted on Sunday, December 10th, 2017 at 11:31 pm and is filed under electronics.